Thanks to science and technology, the field of dentistry has had a wide range of tools and techniques at its disposal, as revealed in a 2012 report on the advances in dental veneers. The variety of options allows dentists a choice regarding how invasive or extensive the treatment should be. According to the report, practicing conservative dentistry is the best way to achieve the desired end result for the patient. 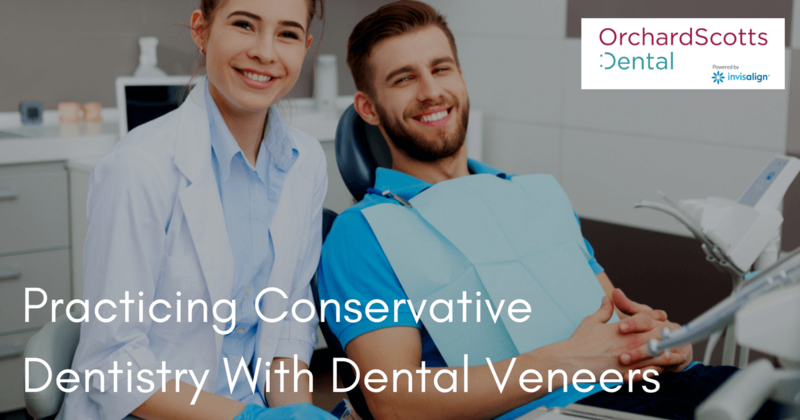 Discover what conservative dentistry is and how it relates to the installation of dental veneers. Conservative dentistry is a way of looking at dental issues and addressing them in a way that is least invasive to the patient. Imagine that a patient has a tooth with a cavity; instead of pulling the tooth and replacing it with an artificial one, the dentist fills the cavity. That’s an extreme example, but it illustrates the conservative dentistry mindset. The conservative Singapore dentist chooses the route that least affects the structure of the teeth and requires the minimum recovery period for the patient. He will perform the more invasive or extreme techniques and treatments, but only when they are absolutely necessary. Since dental veneer technology has come so far in recent years, Singapore dentists have an excellent option for treated damaged, stained, or broken teeth. Today, laminate veneers are usually made with one of two different kinds of materials— pressable ceramic or sintered feldspathic porcelain. Both are extremely durable, but porcelain veneers are stronger than composite veneers. Dental veneers can be designed to be as opaque or translucent as the recipient desires. Dentists usually customise the translucency or opacity to be similar to the look of the natural teeth in the patient’s mouth. Using moulds and imaging technology, the veneers are shaped to fit the tooth tightly and smoothly. Computer-aided design and manufacturing have improved the design of veneers, enabling a closer simulation to the natural teeth and also enhancing the fit. Often, these computer-designed veneers are cut from prefabricated ceramic blocks without internal flaws, rendering them even more perfect and durable. Porcelain veneers are very popular because they are very low-maintenance, and they do not cause any harmful effects to the gums. As long as patients maintain a regular routine of flossing and brushing, the veneers should remain clean and pristine. In some cases, the veneers shift, usually because of an error when the tooth was prepared or when the adhesive was applied. Sometimes, a crooked tooth receives a veneer, but its position and tilt make it impossible for the veneer to stay in place correctly. If a situation like this arose, the dentist in Singapore would likely remove the veneer and find a more effective solution. Are you concerned about the chipped, damaged, or stained teeth in your mouth? Visit an aesthetic dental clinic in Singapore for a consultation about the aesthetic issues with your smile. In Orchard Scotts Dental, our smile makeovers are performed by highly-trained, experienced dentists in Singapore and we have a caring office team that will be with you every step of the way. With modern techniques and options like dental veneers, you can have the charming smile that you’ve always wanted. Original Source: “Advances in dental veneers: materials, applications, and techniques,” Clinical, Cosmetic, and Investigational Dentistry, Núbia Pavesi Pini, Flávio Henrique Baggio Aguiar, Débora Alves Nunes Leite Lima, José Roberto Lovadino, Raquel Sano Suga Terada, and Renata Corrêa Pascotto, February 2012.